Epic Twilight Zone: The 5th Dimension Box out Nov. 11! Rejoice Twilight Zone fans! 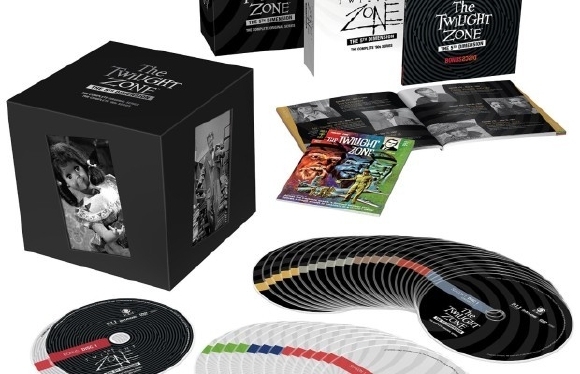 Image Entertainment is releasing the truly epic Twilight Zone: The 5th Dimension Limited Edition Box Set. For the first time ever, Rod Serlingâ€™s groundbreaking Original Series (1959-1964) and the classic 1980s Series (1985-1989) are together in one limited edition set. With only 7,500 sets created, the limited edition 41-DVD box set streets November 11, 2014. 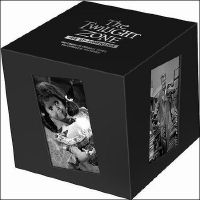 In addition to the two series, equaling 225 episodes all in, and more than 20 hours of bonus material, The Twilight Zone: The 5th Dimension Limited Edition Box Set contains one of four possible collectible 1960s Twilight Zone comic books. Limited Edition packaging features 3D black and white lenticulars and a serialized number on each of the box sets.